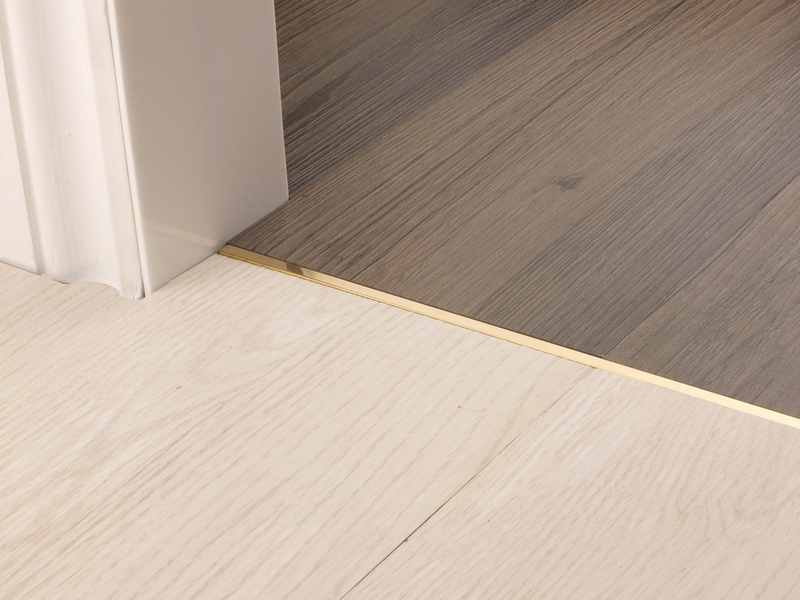 The Premier DoubleZ™9 is the perfect carpet door bar for joining standard pile carpets, but it does more. Easily converted into a Z bar it can now be used to transition between carpet and laminate, carpet to stone and other hard floors. As a Z bar it can be used for carpet to floating floors. Choice of length: 36", 71" and 106"
Choice of style: DoubleZ™ (The DoubleZ™ can be made into a Ztrim by peeling away one side).